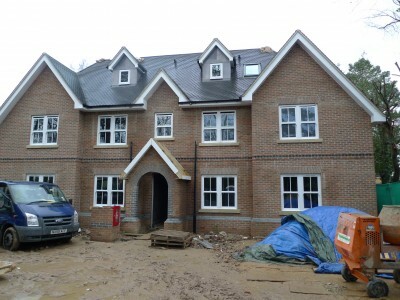 This redevelopment at Feltrim, Stoke Poges, meant the demolition of an existing detached house, annex and shed. The client requested a huge redesign which has concluded in the construction of a single building containing five apartments with bin and cycle stores. For updates on this project, find and follow us on Twitter and LinkedIn.